We've waited ten years. It may be finally happening. CinemaCon has brought us more news than Overlord's departure as fourth film in the Cloverfield Universe. Paramount and JJ Abrams have confirmed that they are finally 'developing a true, dedicated Cloverfield sequel.' This was announced after Overlord was confirmed to NOT be the fourth film in the franchise. Abrams has said that this film is coming 'very soon' to theatres, but with no clear release date or official press for the film so far, we don't know when. The theatre release for this 4th instalment is in stark contrast to the previous entry in the series, The Cloverfield Paradox, which had a direct to Netflix release straight after the Super Bowl in early February this year. But what should we expect from this 'true sequel'? 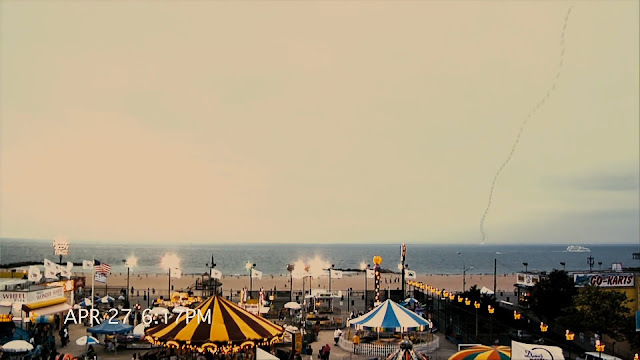 While the plot is only to be speculated, we can only guess that the Cloverfield monster will make an appearance again. Whether or not we will see the fate of our original characters (including Beth, Rob and Lily), we will have to wait and see. Official Overlord photo, unveiled at CinemaCon. "Because it is R-rated, I can describe it as bats**t crazy," Abrams said. "It is a crazy sci-fi, action, horror film that takes place in World War II, directed by Julius Avery. It is super fun. We're really excited about it." In terms of the reason why Overlord has been pulled from the Cloverfield Universe we can only speculate, however many fans have linked it to the critical outcome of the previous film in the series, The Cloverfield Paradox. While this remains unconfirmed, it may play a factor in Bad Robot's decision. 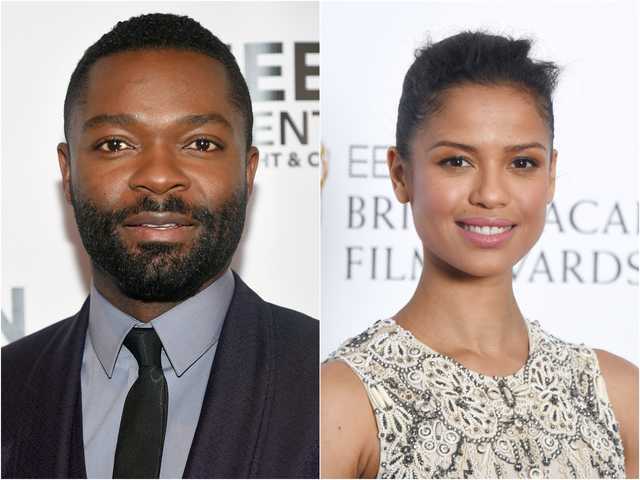 Overlord is set to hit theatres on October 26th, and stars Jovan Adepo, Jacob Anderson, Pilou Asbæk, Iain De Caestecker, John Magaro, Wyatt Russell and Bokeem Woodbine. 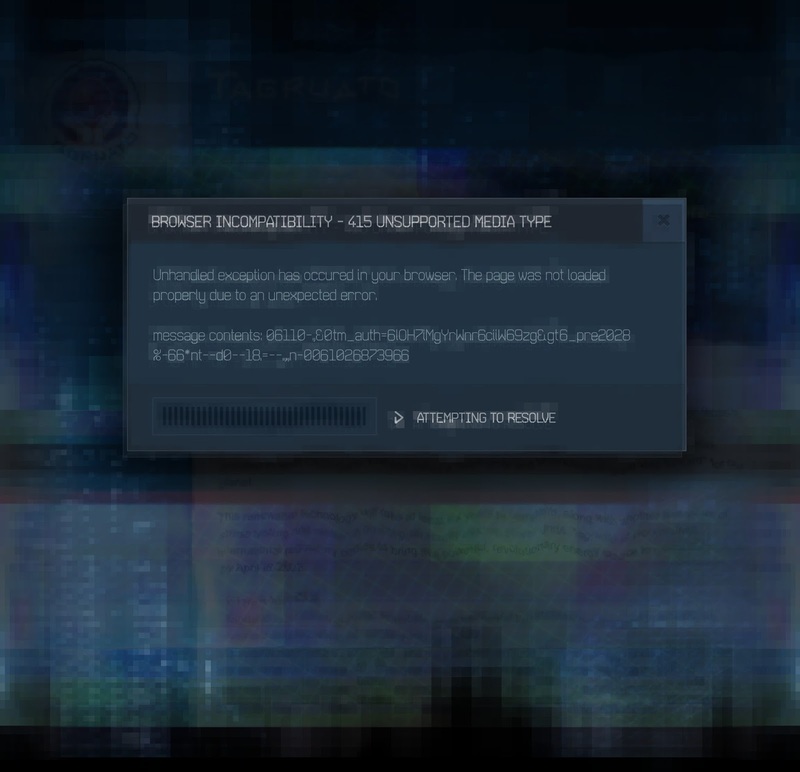 Since our initial article on 04182028.com, the site was updates numerous times during the ARG. The following will be all the updates to the site in chronological order, starting with the discovery of the site. To find out more about how the entire ARG progressed, check out reddit user u/blueonred, who helpfully created a whole thread outlining it. The Youtube channel 'Cloververse' has also collected all the videos from the Cloverfield movies ARGs spanning 2007-present. All videos seen and connected with 04182028 are available there. Initial 04182028 site is found. Our article on it is available here. 04182028.com is updated with a new video. The visual aspect is still mostly distorted, with a few new frames of the figure visible in video 1. "Welcome to the show... Cloverfield Station...joining us today...controversy... Mark Stambler, author of the book..."
This update to 04182028.com welcomed a new video with cleaner audio. The same figure that was in videos 1 & 2 (the consensus being that this IS Mark Stambler) is seen more consistently. "Woman (interviewer): Your thoughts, Professor Mark Stambler? Mark Stambler: ... because of Tagruato... Everything that's happened, I was right. 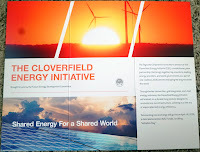 The CEI was a lie, just like I predicted in my book, the Clover-"
CEI we know is in reference to the Cloverfield Energy Initiative, that was printed on official Tagruato brochures included in the delivery of the Slusho! Truck bobbleheads. "... This is a social media hoax... social medium, my email...why does this have to happen again... third floor, by the lamp." The trailer for The Cloverfield Paradox premieres at the Super Bowl, and in a massive twist the movie is released after the games ends on Netflix. 04182028.com is also updated. In the newest video, Mark Stambler (who is being interviewed by the woman we heard in earlier videos) reveals his book, titled 'The Cloverfield Paradox'. "The experiment could unleash chaos, the likes of which we have never seen. You have no idea how much I would love to be wrong about this. It would be no fun for me to be right. If you want to know more, read my book..."
come together in a scene taking place aboard the Shepard. Mark Stambler is being interviewed live and we finally get to see the complete video, with proper audio and visual quality. Woman: Why does this accelerator worry you so much? Woman: To clarify, you believe their efforts to solve the energy crisis might unleash demons? Mark Stambler: Yeah. Oh, yeah. Mark Stambler: And not just here and now... in the past, in the future, in other dimensions. You have no idea how much I would love to be wrong about this. - The woman interviewing Mark Stambler is actress Suzanne Cryer, who played the woman trying to get into the bunker in 10 Cloverfield Lane. Hinting at the fact that this is either a still more of the ARG still to come, or a cheeky wink to the audience and ARG players. This is where 04182028 has led us, up to this moment. 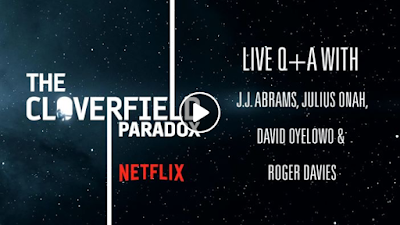 The Cloverfield Paradox facebook page held a live Q&A with the filmmakers and cast: JJ Abrams, Julius OInah, David Oyelowo, & Roger Davies. While the Cloverfield Paradox trailer said "Coming Very Soon", the Netflix iOS app says that Cloverfield 3 will be available TONIGHT, after the Super Bowl. * Thanks to Kevin S for the tip! Here is the trailer for Cloverfield 3, which is now officially called "The Cloverfield Paradox". The trailer also confirms the rumor that it will go straight to Netflix, and NOT be shown in theaters. 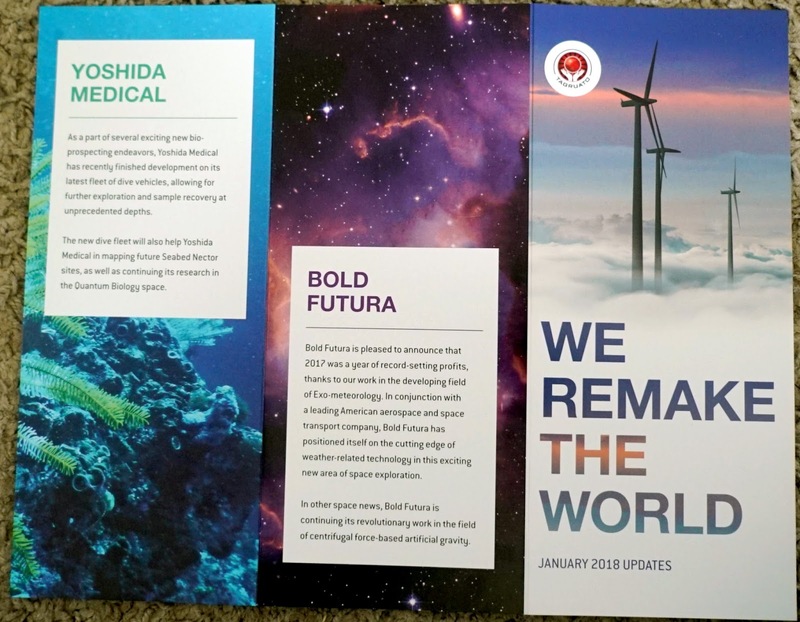 Tokyo – January 18 2018: Tagruato has begun development on a revolutionary new energy technology in what Ceo Ganu Yoshida called a technological great leap forward for our planet. This renewable technology will take at least 4 years to complete along with another six years International regulatory bodies to bring the powerful revolutionary energy source by April 18 2028. 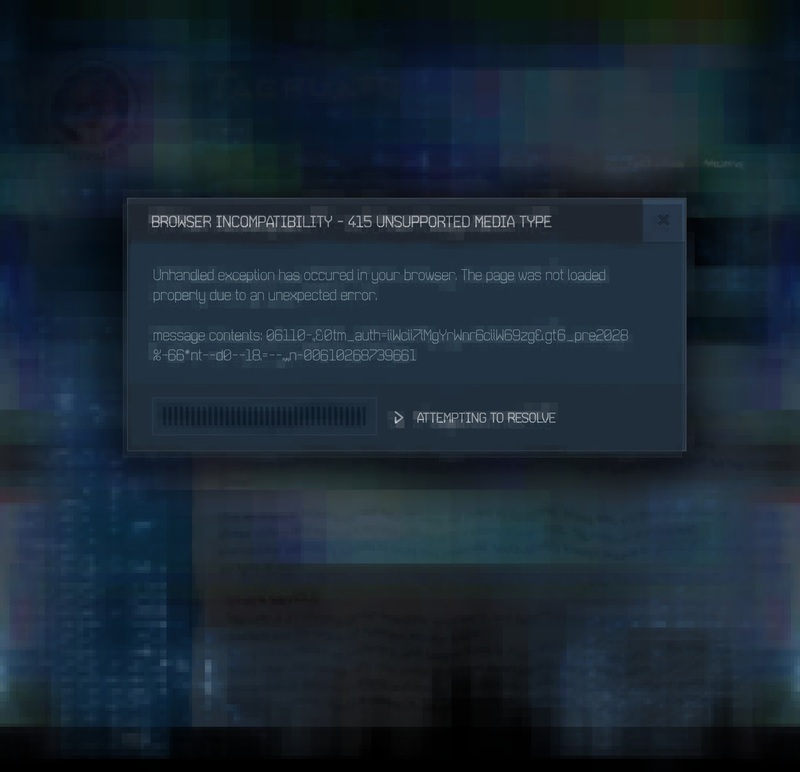 From there, 04182028.com was discovered using the date (April 18th, 2028) similar to the original Cloverfield's infamous 1-18-08 site. 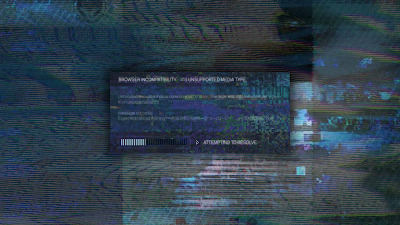 On the website was a 11 second video, featuring distorted images and audio, including frames where a face is clearly visible. The video is available here. "...That is why I'm trying to warn you about the dangers of what Tagruato is trying to do..."
"That is why we must now battle to save the helios." (Which would make sense as the Helios are a pair of spacecraft probes launched into orbit to study solar processes, and could relate to the 3rd Cloverfield film). 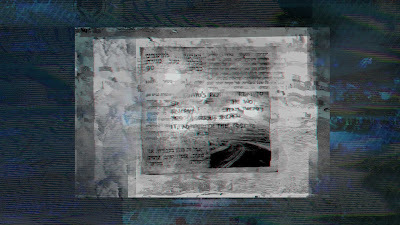 For now we are still trying to examine every aspect of the video and see if we can find any other clues, messages or codes within the video. *The link above is to our mirror of the original 1-18-08 site. DO NOT go to the original 1-18-08 website anymore. The domain expired and is no longer controlled by Paramount, and someone else snatched it up to run ads with malware. 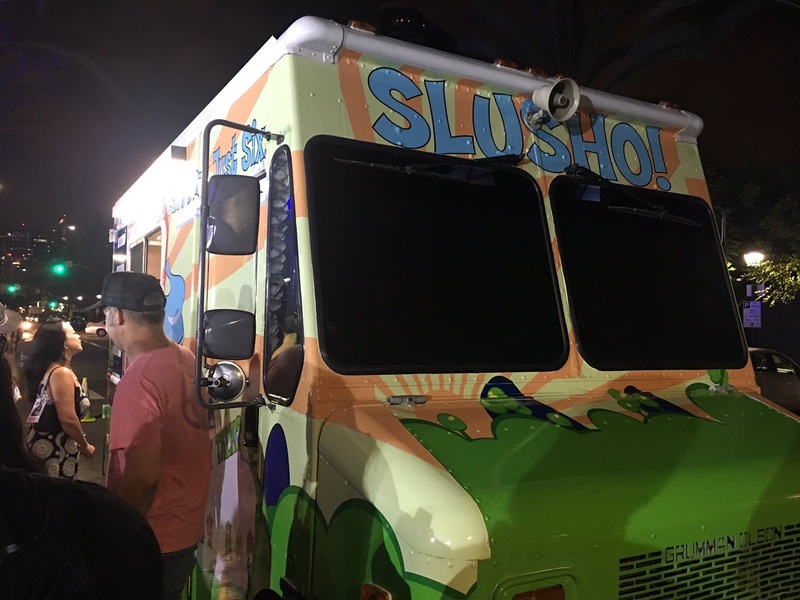 A Slusho truck appeared at Comic-Con last July, and was giving out free drinks, and other surprises. 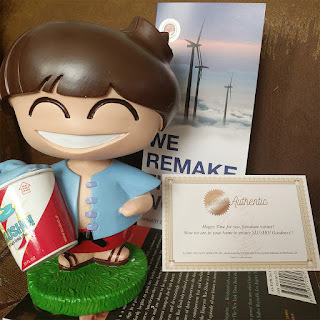 Some people that were there are now receiving Tagruato swag in the mail. Imgur user narciee shows the unboxing of their package. The return address of the package is listed as Tonopah, AZ, which was one of the stops of the Slusho Truck, and also the site of the Palo Verde Nuclear Generating Station. 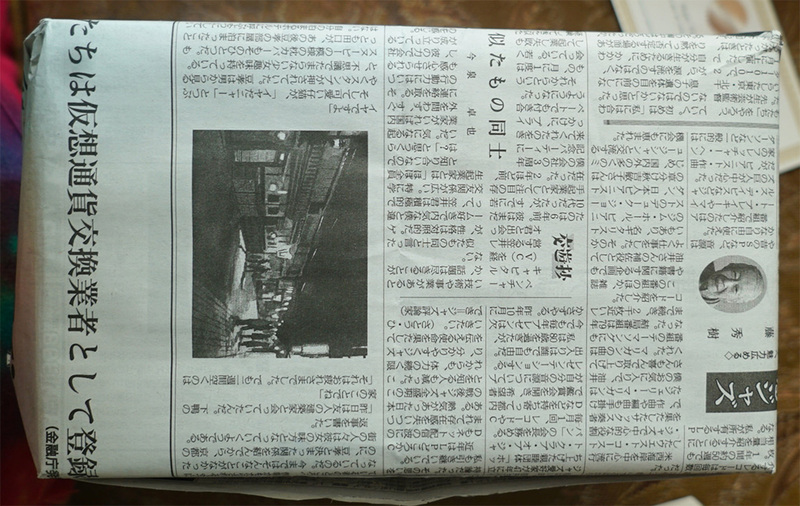 Just like in the original Cloverfield ARG, the items were wrapped in a Japanese newspaper. The package contained a Slusho Bobblehead, a certificate of authenticity, and a Tagruato brochure explaining the Cloverfield Energy Initiative (CEI). 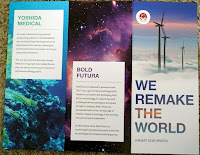 The brochure also mentions: Seabed Nectar (aka Kaitei No Mitsu), Quantum Biology, Exo-meteorology, centrifugal force-based artificial gravity. It seems that the fourth film in the Cloververse has been confirmed to be the movie 'Overlord', and the movie has already been filmed! There was some speculation in early 2017 that this would be the case, but the rumour was not confirmed... until today. "On the eve of D-Day, American paratroopers are dropped behind enemy lines to carry out a mission crucial to the invasion's success. But as they approach their target, they begin to realise there is more going on in this Nazi-opccupied village than a simple military operation. They find themselves fighting against Supernatural forces, part of a Nazi experiment." Overlord is directed by Julius Avery and is set to release October 26th of this year, but considering the delays on the third film and the fact that there is only a matter of months between the two movies, it would not be surprising to see Overlord delayed, possibly into 2019. The premise of having a Cloverfield film that is set before the first movie will be a new and refreshing instalment in the series, perhaps providing some backstory or origin to the first film. While the movie has been wrapped under a heavy layer of secrecy, like all both Cloverfield movies before it, some pictures of the set & cast have been uploaded to IMDB. You can see those photos here. Some pictures were also also found coming from the crew of Overlord (via Instagram), presumably when the film had wrapped. They used the hashtag #overlordmovie. The latest memo talks about "The Cloverfield Energy Initiative", which will reshape "the way we power the world". Whatever this project is, someone is trying to stop it (TIDO Wave?). SOMEONE MUST STOP THIS FROM HAPPENING! THIS IS NOTHING BUT A COVER FOR A RECKLESS EXPERIMENT THAT WILL RESET THE WORLD'S GRID. STOP THIS TO SAVE THE WORLD. This January marks the 10 year anniversary of the release of Cloverfield on January 18th, 2008. In terms of the A.R.G, it's been over ten years since the original trailer premiered and viral marketing sites like 1-18-08*, Tagruato, Slusho, TidoWave were found. Who knew that we would still be anticipating the third film 10 years later? "It's like Cloverfield is the amusement park, and each of these movies is a different ride in that park." After the past entries in the Cloververse, it's exciting to anticipate what the future of the series will hold, especially with the plans that JJ Abrams has for the Cloververse. It's a lion, and it's huge. It seems the appearance of the Slusho Truck at San Diego Comic Con has marked the beginning of an exciting new chapter in the "Cloververse". Surely this signals the imminent start of the ARG for Cloverfield 3. There has been a lot of speculation that 'The God Particle' would become the next movie in the “Cloververse”, however screenwriter Orn Uziel confirmed in May the 'The God Particle' script would be rewritten so it could be turned into the third Cloverfield movie. Originally scheduled for release on February 24th, 2017, it then got pushed back to October 27th. Then at this year's San Diego Comic Con, it was pushed back again to February 2nd, 2018 —and the name "The God Particle" was officially removed and replaced with "The 2017 Cloverfield Movie". This almost certainly means that the film will receive a new title before it's release in February next year. This news, while surprising, may have been a strategic move by Paramount and Bad Robot. Sources have reported that Jigsaw (the 8th film in the Saw franchise) opens on the same date, October 27th, and going up against an iconic horror franchise right before Halloween could result in a challenging opening. Perhaps Bad Robot and Paramount didn’t want to risk sharing an opening day with such a large, moneymaking franchise. 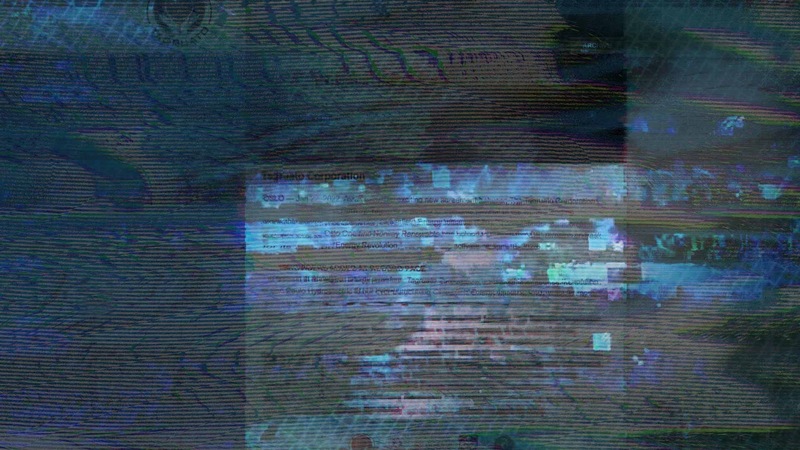 With all this news, hopefully we are going to get some new intriguing leads to the new ARG soon. Especially now, with just over 6 months until the release of 'Cloverfield 3', it certainly feels reminiscent of the amount of time Cloverfield’s ARG had to develop. Nevertheless, it’s going to be very exciting to see how this ARG plays out! What are your thoughts on the new information? The truck displayed a new twitter account - @SLUSHOTRUCK - and based on some of the tweets, it appears to be driving around the country. Is The "God Particle" The Next Cloververse Movie? There has been a lot of speculation about the next JJ Abrams movie, God Particle, and whether or not it will be connected to the "Cloververse". This scenario certainly sounds very similar to the audio recording that Howard left at the dead drop, assuming what they find is aliens. Howsoever anything is certainly possible, I don't think this will have anything to do with the Cloververse. 10 Cloverfield Lane International Poster - Spoliers! 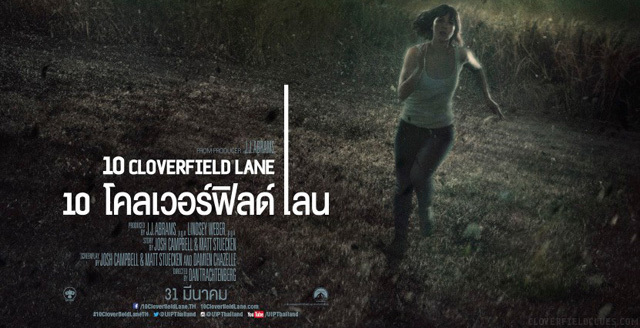 The 10 Cloverfield Lane Thailand facebook page has a new 10 Cloverfield Lane poster which contains a major spoiler, revealing something that happens at the end of the movie. It's a completely different approach to marketing the film, and ruins the surprise of the 'monster' at the end of the movie. However, since this is a Cloverfield movie, most people assumed there would be some kind of monster somewhere in the movie, so it's hard to say how much this would affect the impact of that scene. Swamp Pop, the non-fictional drink that appears in 10 Cloverfield Lane has made some changes to their website. They have removed the "Long-Term Shelter Supply" item from their online store, and now there is a a Long Term Storage link at the bottom of their home page. 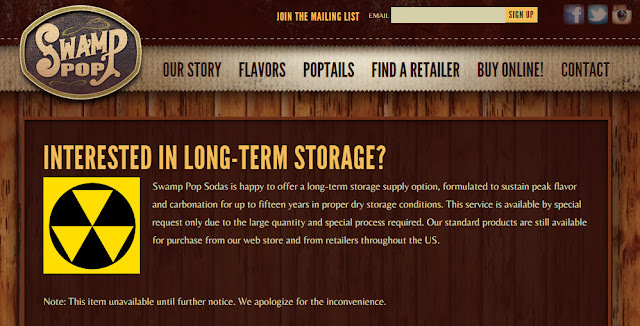 Swamp Pop Sodas is happy to offer a long-term storage supply option, formulated to sustain peak flavor and carbonation for up to fifteen years in proper dry storage conditions. This service is available by special request only due to the large quantity and special process required. Our standard products are still available for purchase from our web store and from retailers throughout the US. Note: This item unavailable until further notice. We apologize for the inconvenience. Also, the "alt text" for the fall out shelter image is "4.8.13", which mirrors the original item's price of $4813. This still doesn't mean that Swamp Pop is "in game", Mike. IMO, it looks like they're just having a little fun, but don't want people trying to contact them about this anymore. International 10 Cloverfield Lane Trailer - Spoilers! 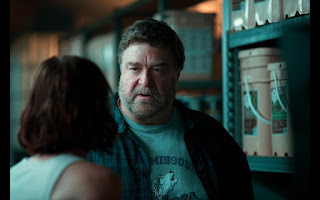 The international 10 Cloverfield Lane trailer takes a much different approach to marketing the film, specifically highlighting what takes place outside of the bunker, and revealing the monsters that live outside the bunker. In recent interviews, JJ Abrams has stated that 10 Cloverfield Lane was based on a spec script that he received. The script was titled "The Cellar" and was leaked long before the move came out. This has been a major spoiler topic over the last couple of months, but now that the movie has been released, it's interesting to see how the original script compares to the finished movie. The core bunker story is essentially the same, although the characters and their motivations are all slightly different. The changes are significant enough that I don't think we can draw any conclusions about the movie from the script, but it is an interesting read nonetheless. btm29 at Reddit has posted the PDF version here. UPDATE: Paramount has the script removed from dropbox with a DMCA takedown notice. If anyone has a mirror link or a torrent of this, let me know in the comments. In the mean time, I'll post a brief summary of the script and the differences with 10CL soon. On the Blu-ray & DVD versions of Cloverfield, you can clearly see "some thing" falling from the sky and into the ocean in the very last scene of the movie. 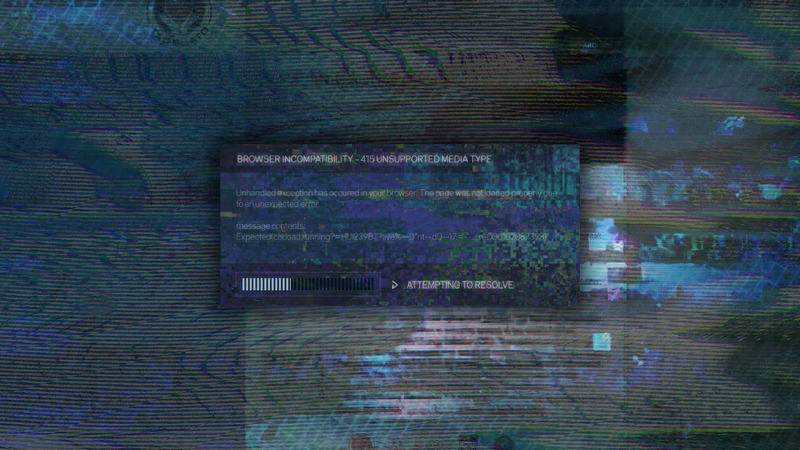 During the Cloverfield ARG, we were told that this was a piece of the Japanese "ChimpanzIII" satellite. However, just like the Chuai "oil drilling" station, this was probably a cover story by Tagruato to cover up something much bigger. NOTE: Be sure to set the video to HD quality and view it full screen. Megan's cell phone has finally received a new voicemail from Howard! helveticatt, the owner of Megan's phone, has posted a recording of his latest message. It's my fault, I see that now(?). Now it's too late for you to leave Chicago. I was(?) never going to see you again. You were my little girl, and it was my job to protect you. I failed. I'm going to make it up to you, I know how to make it right, I promise. While the official release date for 10 Cloverfield Lane is 3-11-2016, tonight is "Early Screening" night - the first night that it is available to the general public. It is currently "Certified Fresh" at 91% by Rotten Tomatoes, and Tribeca Film called it "The Best Big-Studio Sci-Fi Film In Years." I loved it, and after two months of anticipation, it exceeded my expectations. I have added two polls to the side-bar so you can weigh-in on what you thought about 10 Cloverfield Lane, and how it compares to the original Cloverfield. If you have seen the movie, let us know what you think! 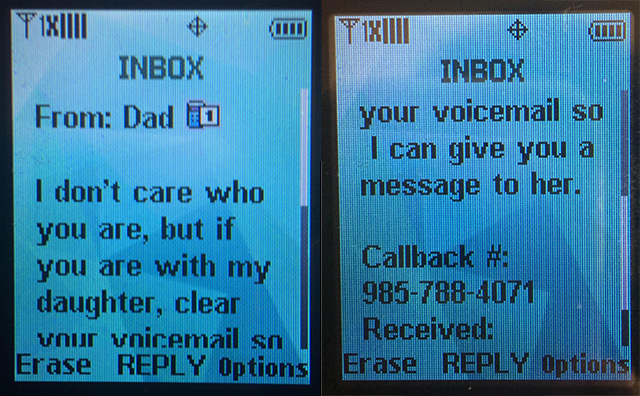 Howard Stambler has a new outgoing message on his cell phone. It sounds like he is getting ready to head to the bunker! This phone belongs to my daughter. but it doesn't matter much anyways. and, I wish everyone just listened to me. I could have helped you all if you just listened. 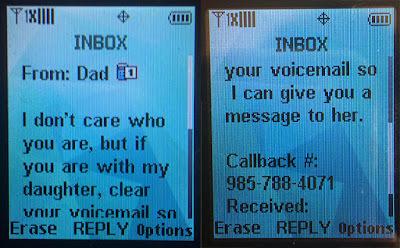 I don't care who you are, but if you are with my daughter, clear your voicemail so I can give you a message to her. 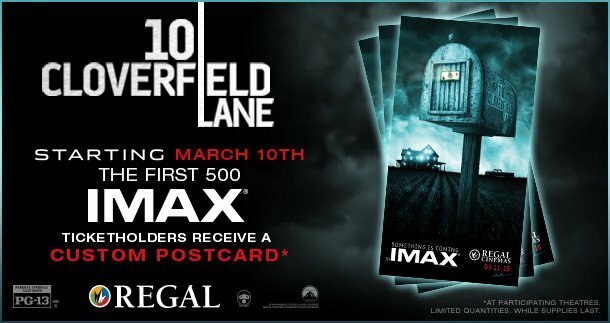 AMC IMAX Theaters will be giving away exclusive Saul Bass style 10 Cloverfield Lane posters. A different poster will be available each day, Thursday, Friday, and Saturday. Posters available while supplies last; check with your local theater for participation. PS, if you are going to see 10 Cloverfield Lane, and you have the option to see it in IMAX, I highly recommend it! There is a new mysterious message on the FAPT chat page. It appears that a colleague of Howard has reached out to Howard using FAPT to pass a secret message. The initials of the poster, NR, likely match the name of fellow Bold Futura employee Nikolia Roza. Linked in the message is a strange audio file, which starts out as haunting music, but appears to contain some sort of encoded message. 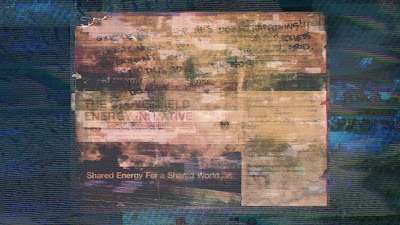 Andrew posted in the comments that the file is encoded using a HAM radio technique called ssTV (Slow Scan TV). Essentially, it allows you to broadcast images using a radio signal. In the latest update, it sounds like Howard may be giving up up on hearing from Megan. 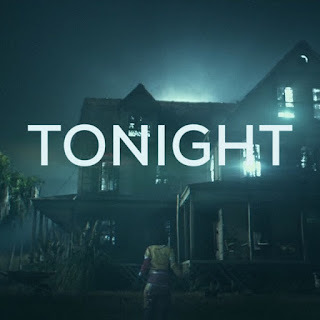 Between the 10 Cloverfield Lane movie premier last night, and the sneak previews tonight, a lot of people will have seen the movie before it officially opens this Friday. This has caused comments here to drop to near zero, out of fear of getting spoiled. We have a strict no-spoiler policy at Cloverfield Clues. I'll be seeing the movie tonight, so I may post a spoiler-free review, and of course I'll post any new ARG updates, but I promise I won't post ANY spoilers until everyone has had a fair chance to see it. I hope you will do your part as well. Speculate all you want about the ARG or what's in the trailers, but if you have seen the movie, please DO NOT post any spoilers here in the comments. I have turned off anonymous commenting and will be moderating ALL comments. The good news is, that you should be able to continue posting your comments here without ANY worry of getting spoiled. Unfortunately that mean you'll have to wait a little bit for your comments to show up, since the will need to get approved first, but I'll try to approve them ASAP.